I first discovered Stu in Tokyo while I was surfing YouTube looking for tips on things to do and places to go for my first trip to Tokyo. While I ended finding some amazing resources, I also stumbled across Stu’s viral video about the craziness of life in Tokyo as a Salaryman. The way he explained Tokyo work culture in the video through an expat’s eyes really helped me connect with the experience as a TCK, and I’ve been a regular viewer of his channel ever since. Stu’s channel is part travel and life vlog and part observational / surreal / improv comedy. His style is quite difficult to classify but is very entertaining to watch. I had a great interview with Stu to learn more about his experiences in being a YouTuber, and how viral fame has potentially impacted his life. Hi Stu. Let’s start with the typical “work interview” question: tell us a bit more about yourself and how you started making videos. How fluent is your Japanese and how long did it take you to achieve fluency? I was watching Battle Royale with subtitles with a friend and he said, “Stu, imagine if we could ACTUALLY understand what they are saying?” We did some research into the JLPT exam and my friend was pretty adamant that he could pass it in 2 months time. My friend and I are quite competitive and I don’t actually have any sort of special Japanese skillset – I had previously studied French, German and Latin, and don’t remember a single thing anymore. I think my drive came from just wanting to beat him. So we studied Hiragana Katakana and Kanji. This was around the time we were in Sixth Form, when we also had to study for some serious exams. At the time, JLPT had 4 levels, with 4 being beginner and 1 being fluent. To take the test, we had to travel to London, which was 2 hours away from our hometown. I took the test, and actually came away with a Level 3 pass. Later on, I completed a mathematics degree and thought, “What do I want to do with my life?” I had been talking with a friend about the JET program and thought that teaching English might actually be something I could get into. I had also traveled to Japan and that was the time I really fell in love with the language. To take this back to the videos, they’re actually a good representation of my personality… I do strange things. I also thought Japan was quite weird and that it would be a great fit. I then joined JET and taught in Kyushu and fell in love with the country. I think that because I lived in southern Japan in Kyushu and not Tokyo, it also forced me to learn Japanese faster. 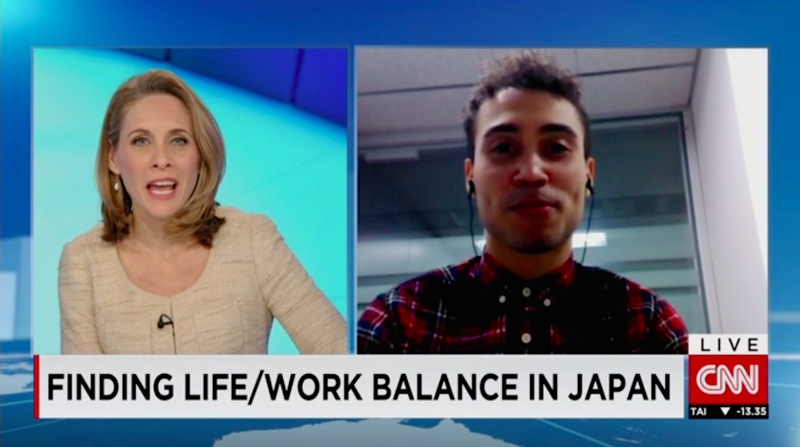 Stu being interviewed by CNN about work culture in Tokyo. 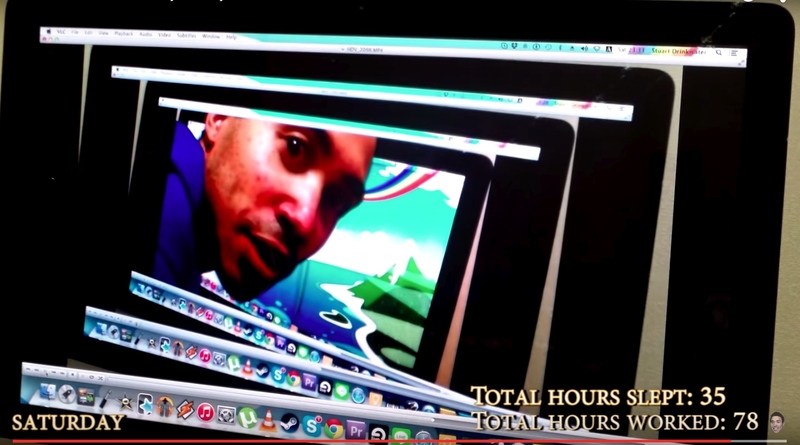 I think your “Week in the life of a Tokyo Salaryman video” is something that fits perfectly for a medium like YouTube. The video says a lot for its short length. It’s incredibly meta, being somehow hilarious, yet profoundly sad at the same time and provides more commentary on Japanese culture and society than you probably intended. What were your thoughts on making the video and what was the reaction from Japanese and non-Japanese people? Have you seen a difference in the way Western and non-Western people react and connect to your videos? Stu at the end of his week documenting “A week in the life of a Tokyo salary man.” His video has received over a million views and counting. How has doing YouTube videos and having achieved a bit of fame changed your life, or has it changed it at all once the buzz has died down? Have you been approached to do any commercial work? Are companies actively looking at you to do work together? To be honest, it hasn’t really changed my life. Once in awhile, I get recognized by foreigners. It’s weird because I don’t feel like a celebrity. Usually when I goto Shinjuku I’ll get recognized and get stopped every once in awhile. I just genuinely enjoy making videos. I enjoy making people smile and happy. The feedback that I get is most important to me. I’m incredibly grateful that I’ve been able to touch so many people through my videos. Once in awhile, I get e-mails from corporations, mostly to join and partner with advertising campaigns. The most common ones I get are from Multi-channel Networks asking me to join or to help them go viral. To the majority of them, I say “I’m sorry,” because my job is too demanding and I can’t devote the time they need towards that type of work. I have done some voice narration projects and from that I’ve received more offers for voice work. I have been thinking about doing more, but for now, I can’t make a living doing that, but I am considering what else is possible. I appreciate it takes a lot of time just to make a 5 minute video. How long (hours) does it usually take you to do a YouTube video from conception to finish? Can you describe your process a bit and what you think YouTube provides that perhaps other video mediums don’t? I don’t always make videos out of the stuff I film. Most Sunday nights, I’ll stay up and try to get my videos finished for Monday morning. I think most of my videos take about 6 – 10 hours. If I didn’t enjoy it, I wouldn’t do it, but the engagement I get from viewers is so worth it. I love seeing a lot of the same people commenting and messaging on my YouTube channel. I’ve been looking to expand and move on from my Vlog style. For example, I’ve been doing more FAQs, answering people’s questions and giving advice in that format, because many ask the same questions about my channel and Japan, and it saves me some time if I can answer it in a video for everyone. I feel YouTube should be interactive, first and foremost. That’s a big part of what makes YouTube so great – what you can’t get from traditional video formats is that YouTube community connection. It’s so relevant that many YouTubers will call their fans something. For example, PewDiePie calls their fans “Bros.” It’s a forum. 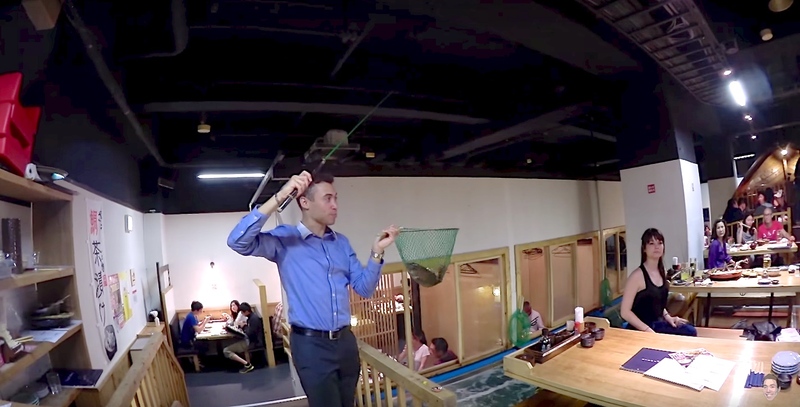 Stu’s videos provide a look into common Japanese pastimes and travel spots, like Karaoke, nomihodais, visits to Tokyo Skytree but also show us some hidden gems, like restaurants where you can fish for your dinner. In your opinion, is it possible for the non “PewDiePie” types (perhaps someone of your level of commitment / popularity) to make a living off being a YouTube entertainer? Is the YouTube community very connected? Either in Japan as a whole or globally? I think it’s extremely difficult for someone of my level of commitment or popularity to make a living off being a YouTube entertainer. The best way to do it is to make sponsored videos, where essentially you have to advertise a particular product or website through your video. Without those kind of videos, it’s extremely difficult to make a living from Google ad revenue alone. In Japan, YouTubers have a very close knit community. I attended a Hanami (flower viewing) party last year and met a lot of people. Many of the YouTubers, I had never heard of, but they’ve actually got huge fan bases. What’s also great is that you don’t need to have affiliation to YouTube to participate. You can still have fun and feel included, no matter who you are. Do you find it difficult to separate your work life and YouTube “entertainer” personality, or is it really an easy thing to merge together as a Youtuber? Do you feel the need to keep them separate? I don’t find it difficult to separate my work life and entertainer personalities at all. I never even think about it to be honest. When I’m filming a video I’m high energy and silly, which is how I am after a few drinks around close friends anyway. Occasionally the silliness comes out at work if I’m just amongst work colleagues that I’m close to. Ultimately, it’s still just me! What does the future hold for Stu in Tokyo? Any other people you can recommend to check out on YouTube that you enjoy watching and want to shoutout? As long as I enjoy making videos, I’m going to keep making them! I really enjoy my vlog style videos, but I’ve been toying with the idea of trying out sketch comedy in the not too distant future. I intend to give it a shot and see how people react to it. If it doesn’t go down well, at least I will have tried. A shout out to NihongoGamer, a really good friend of mine who has supported me and given me lots of advice regarding YouTube videos. He makes some pretty awesome videos about learning Japanese through video games. Also, you can see some of my voiceover work and take a look at an interesting Gacha bike series that I was recently a part of (in the video below).